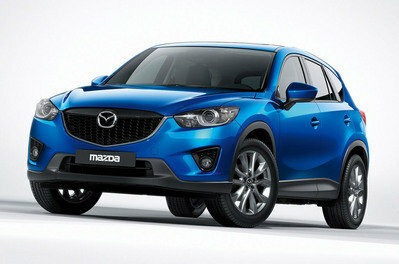 Launched in 2012 for the 2013 model year, the Mazda CX-5 is one of the newest crossovers on the market. 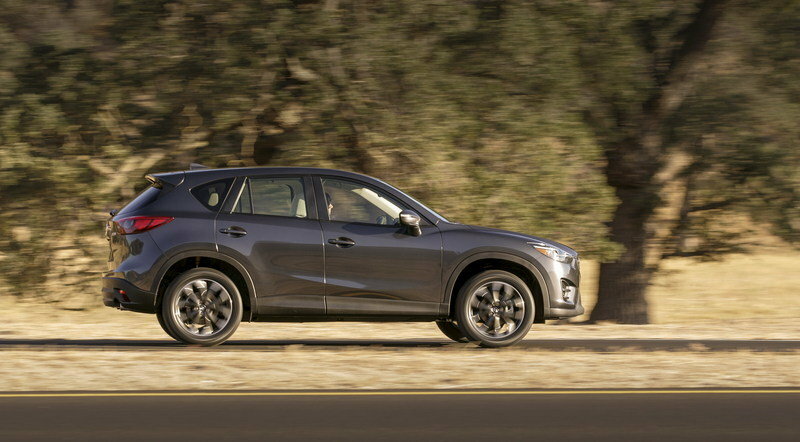 Sharing its platform with the smaller Mazda3 and Mazda6 sedans, the CX-5 was Mazda’s first vehicle featuring the new KODO design language and the company’s SkyActiv technology. 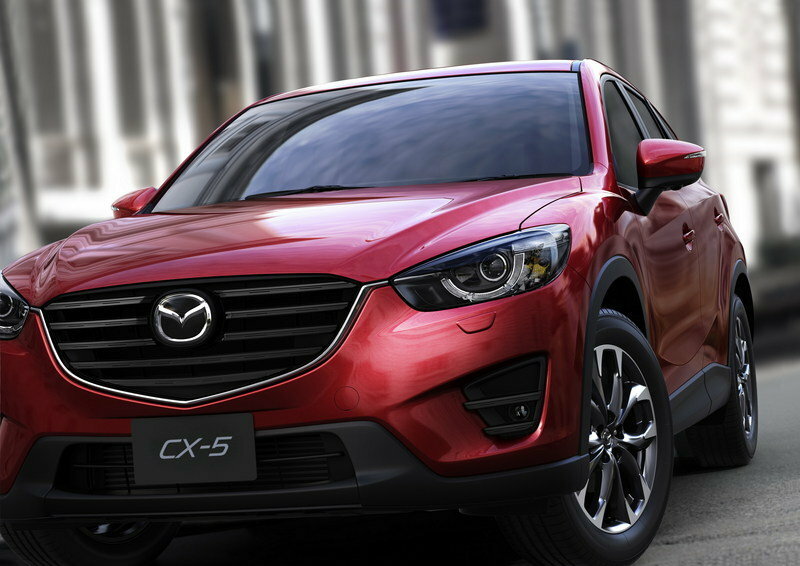 Available in North America since 2013, the U.S.-spec CX-5 is offered with two engines. 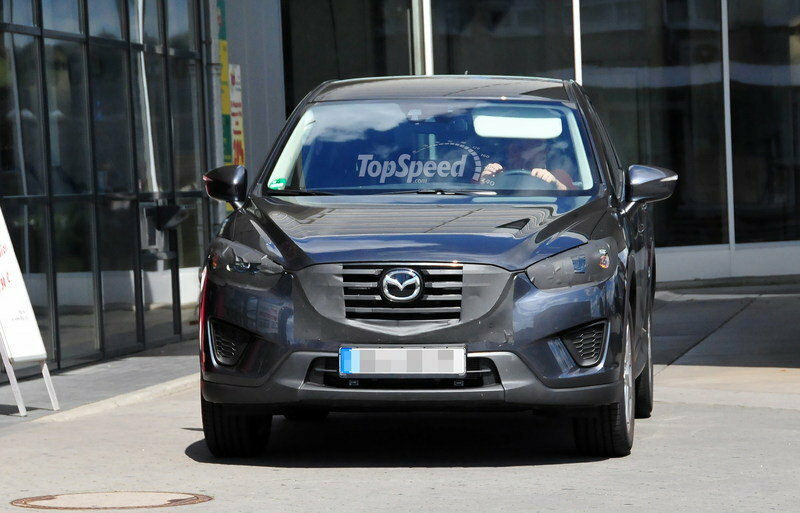 Coming into 2016, the Mazda CX-5 is set to receive its first mid-cycle facelift. In 2014, the CX-5 lagged behind its main rivals in terms of sales, as it only managed to deliver 99,122 units. While selling nearly 100,000 units is never a bad thing, the CX-5 plays in a popular segment where the class leader, the Honda CR-V, saw 355,019 units roll off of dealer lots and to new homes. Will the CX-5’s refresh be enough to put a dent in the CR-V’s sales numbers in 2015? 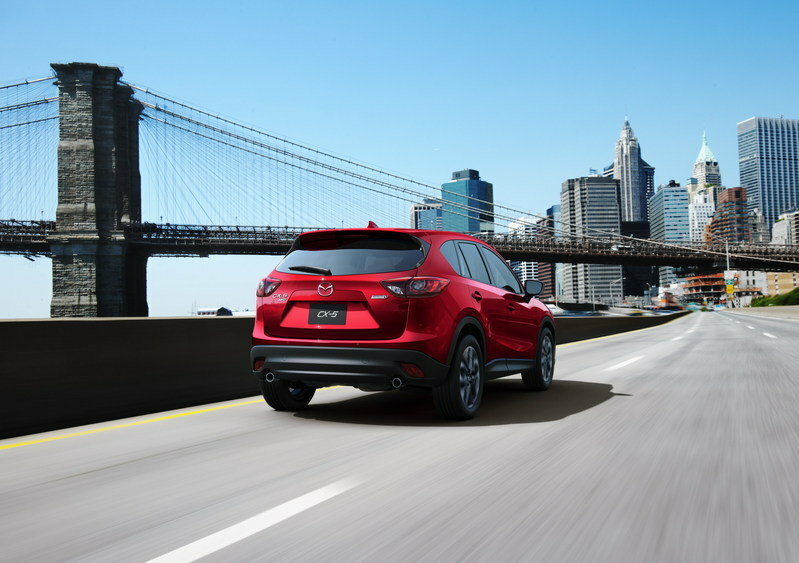 Updated 02/11/2015: Mazda announced prices for the 2016 CX-5, which will be put on sale later in the spring. The first thing that catches the eye on the test vehicle is the new front grille. Although it sports a similar shape, the piece ditched its honeycomb pattern for four horizontal slats and a revised Mazda emblem. The headlamps have also been redesigned to integrate daytime running lights. As a result, the DRL units previously seen in the lower apron have disappeared. The rest of the front fascia carries over unchanged, while the side mirrors come with integrated indicator lights. Around back, everything remains untouched save for the taillights, which now feature new graphics. We expect the interior to remain unchanged as well, but we figure Mazda will introduce new color and trim options. Both the 2.0-liter and 2.5-liter SkyActiv engines will return with the same output figures for 2015. 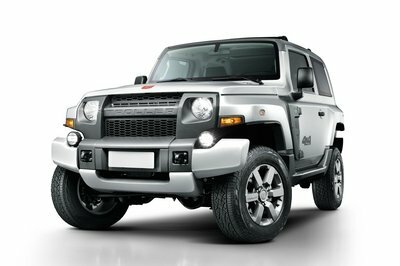 The former will deliver 155 ponies and 150 pound-feet, while the latter will send 184 horsepower and 185 pound-feet of twist to the wheels. Though it’s not mentioned in the press release, it also appears as if the fog light surround has been reworked to better match the new grille. 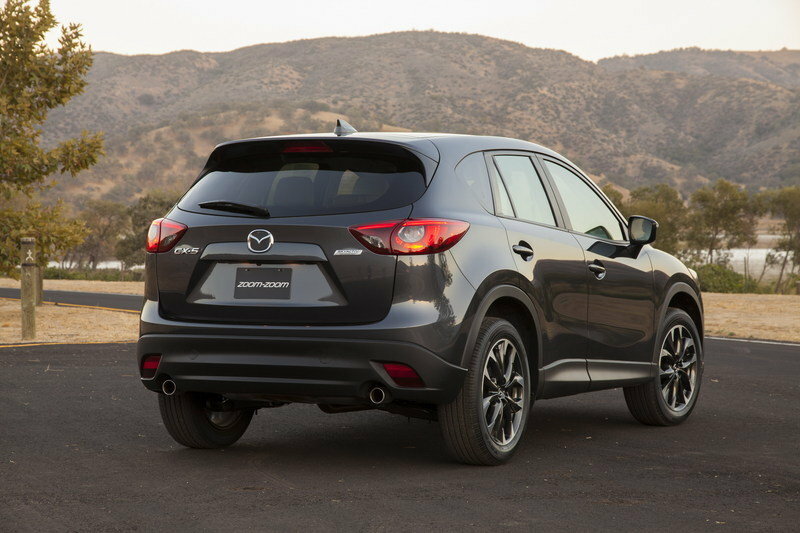 For the 2016 model year, the changes to the CX-5 are very subtle, but they certainly are noticeable. In the comparison images (below) you can see that the new grille has horizontal bars with metallic grey fins in place of the mesh from the 2015 model. The headlights are also very slightly revised, as Mazda revamped the guts and added a new LED signature. Though it’s not mentioned in the press release, it also appears as if the fog light surround has been reworked to better match the new grille. The Profile of the 2016 CX-5 remains unchanged, but you may notice that the optional 19-inch wheels feature a new design, as revamped machining gives them more of a 3D look. 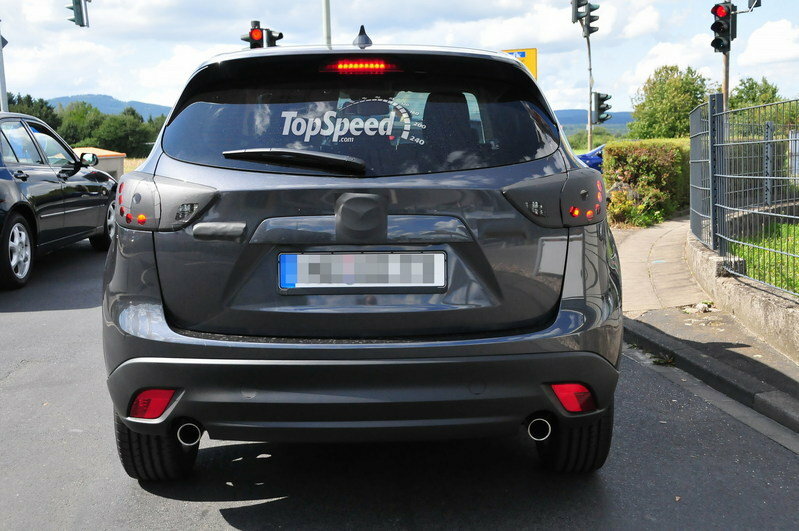 On the rear, the changes are nearly unnoticeable, as all Mazda did was add a new LED signature to the taillights. 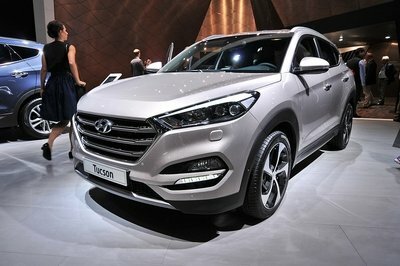 What’s more, this signature is an option, so only certain CX-5s will look different from the rear. The final change for the 2015 model year is the addition of two new colors: Sonic Silver Metallic and Titanium Flash Mica (my personal favorite). 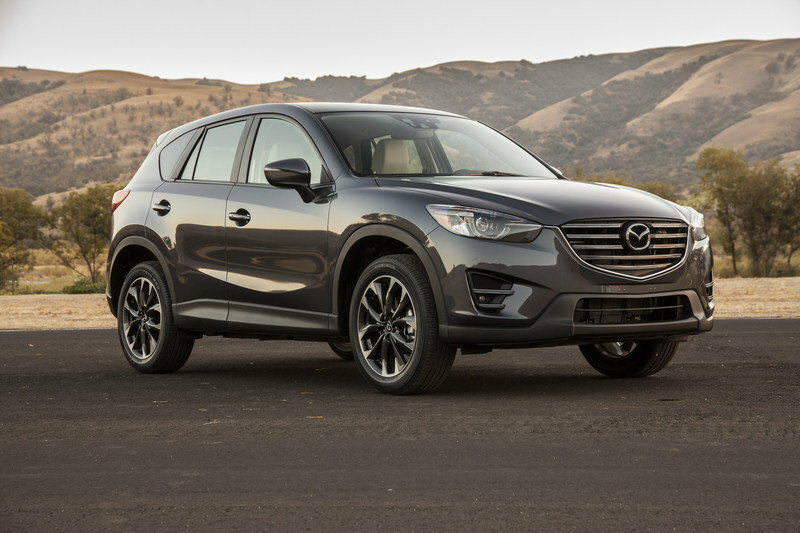 Otherwise than these minor changes, the 2016 Mazda CX-5 remains the same great-looking crossover that I spent time driving back in 2014. In my opinion, I think it is one of the best-looking crossovers available. Storing your cell phone and other random items is now easier thanks to increased capacity in the storage cubbies throughout the SUV. 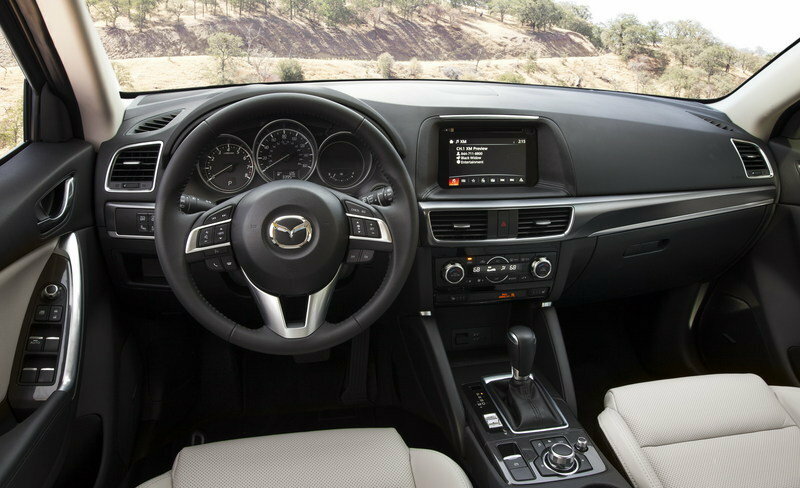 Inside the CX-5, Mazda went to work by first enhancing the fit and finish of everything you may see or touch. This includes using more upscale materials and making sure all of the panels fit together cleanly. One huge improvement I can see right of the bat is the leather surrounding the touchscreen. My hand touched that panel numerous times on any given trip, and to have it now coated in soft leather is a nice touch. Mazda also reworked the seats for added comfort and upped the sound deadening to reduce road noise. The biggest visual change to the cabin takes place between the front seats, as the center console and center stack were heavily revised. 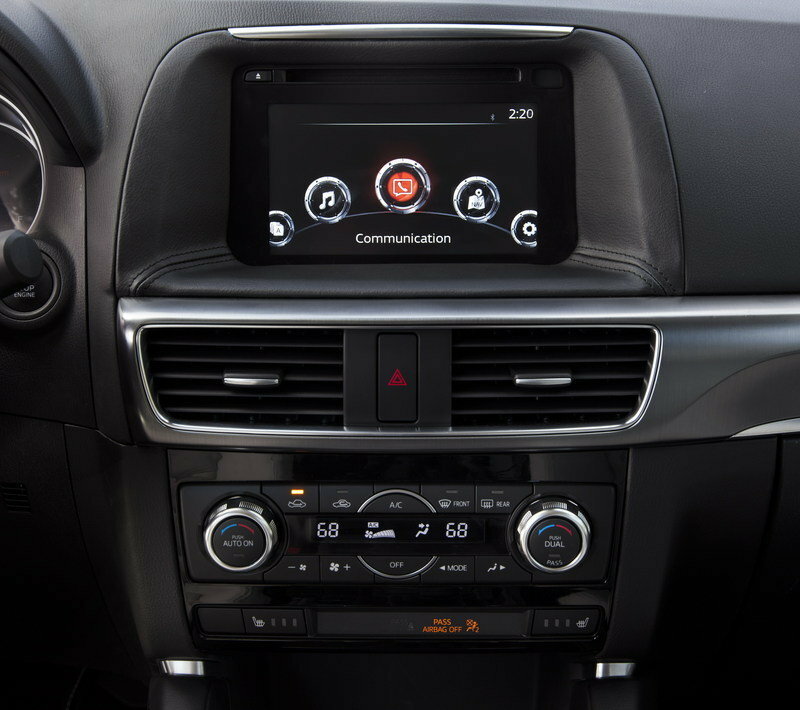 The audio system now has no buttons surrounding it, the HVAC controls have been reduced from three knobs to just two, and there is now a knob on the center console that controls the new Mazda Connect car connectivity system. Storing your cell phone and other random items is now easier thanks to increased capacity in the storage cubbies throughout the SUV. These cubbies include the open area in front of the shifter, the cup holders, the console box, and the front door pockets. 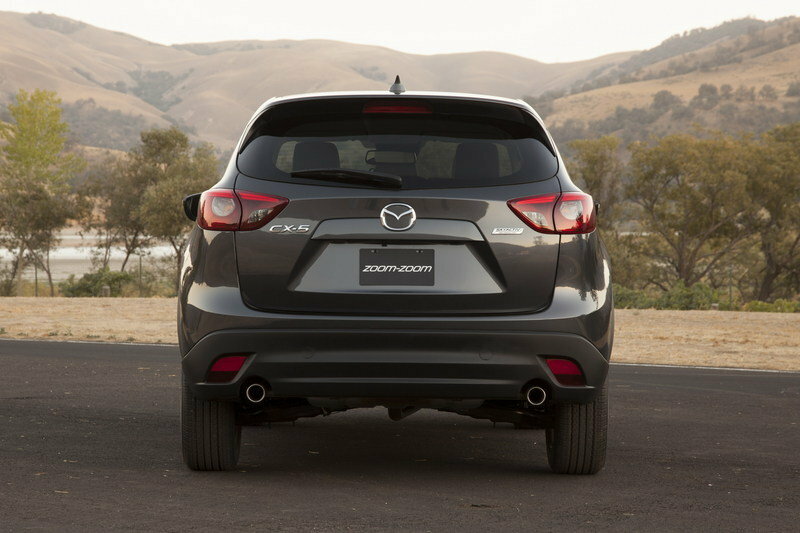 With these changes, the Mazda CX-5 becomes an even better SUV to some spend time in. When I had my tester in 2014, I took a trip from Tampa to Jacksonville and back with three passengers, and there was not a single complaint. The ride was smooth, comfortable, and quiet enough. 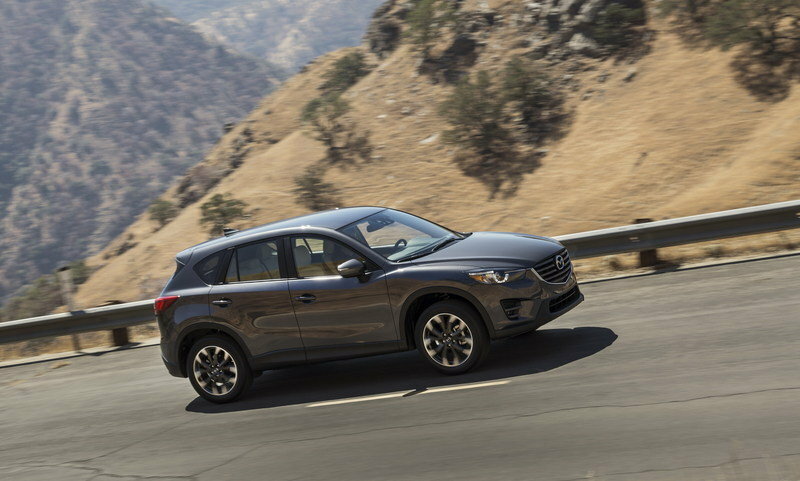 One of the CX-5’s biggest selling points is its fuel economy, which starts at 26 mpg city, 35 mpg highway, and 29 mpg combined with the 2.0-liter engine. Mazda has struck gold with its Skyactiv technology, particularly in its powerplants, as they deliver ample power and great fuel economy. 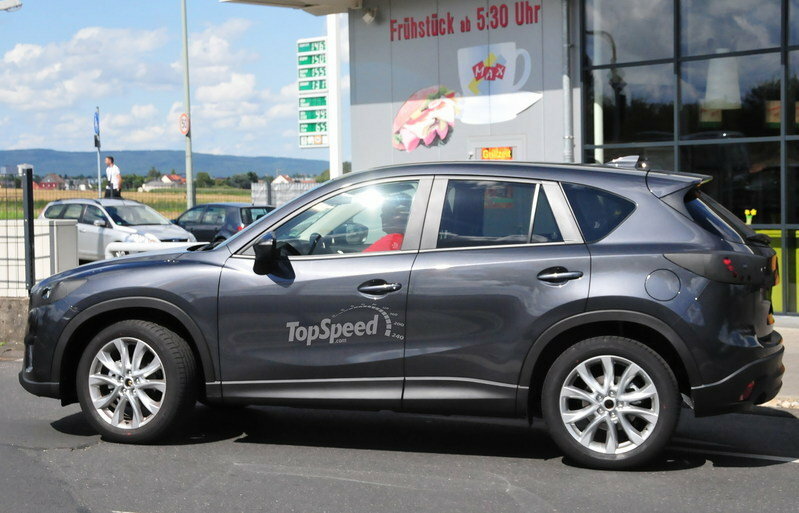 So it’s no surprise that the 2016 CX-5 continues on with the same two engines as the 2015 model. 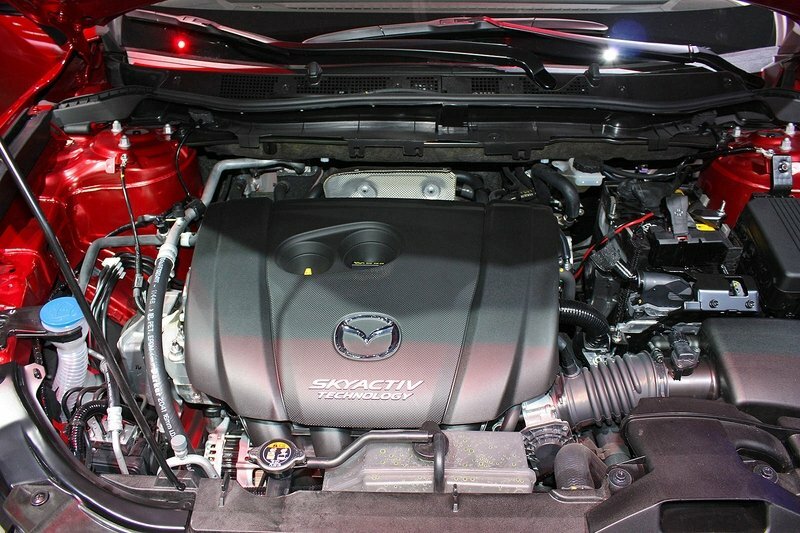 The base engine is a 2.0-liter Skyactiv-G four-cylinder that produces 155 horses at 6,000 rpm and 150 pound-feet of torque at 4,000 rpm. The optional 2.5-liter engine – also a Skyactiv-G – delivers 184 horsepower at 5,700 rpm and 184 pound-feet of torque at 3,250 revs. 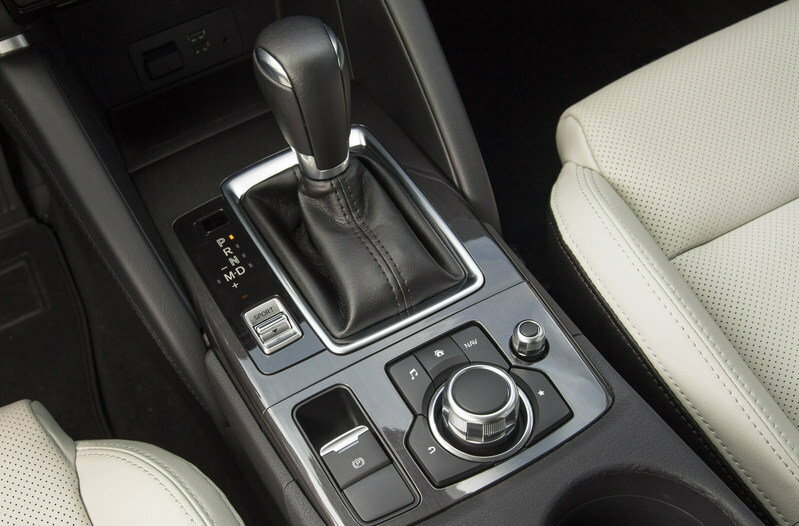 The base transmission is the six-speed Skyactiv-MT manual, which is only available with the 2.0-liter, and the optional gear swapper is the Skyactiv-Drive six-speed auto that comes exclusively with the 2.5-liter. 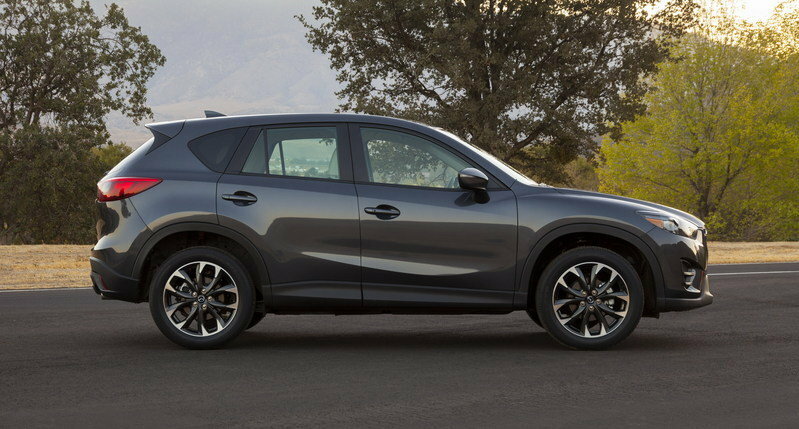 In its base setup, the CX-5 delivers its power only to the front wheels, but Mazda’s next-generation all-wheel drive is available as an option with the 2.5-liter engine. 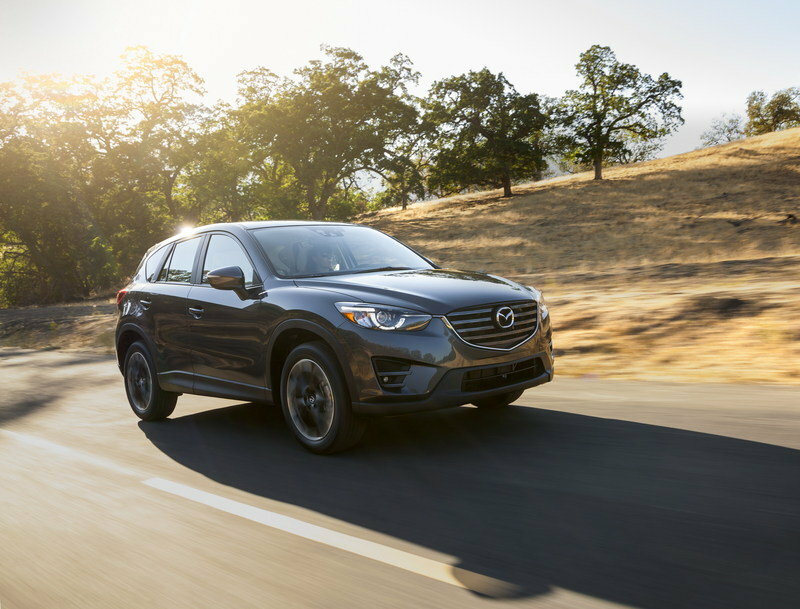 One of the CX-5’s biggest selling points is its fuel economy, which starts at 26 mpg city, 35 mpg highway, and 29 mpg combined with the 2.0-liter engine. 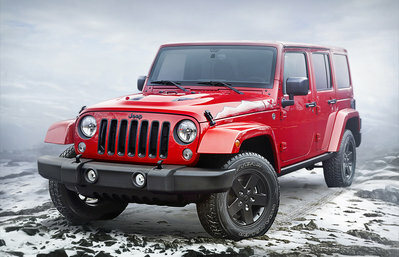 Moving into the 2.5-liter with front-wheel drive drops those numbers to 26 mpg city, 33 mpg highway, and 29 mpg combined, while adding all-wheel drive lowers the numbers to 24 mpg city, 30 mpg highway and 26 mpg combined. For 2015, the Honda CR-V received a pretty significant update, including a fully redesigned front fascia and an updated rear end. Under its hood, however, things remain the same with a 2.4-liter four-cylinder that develops 185 horsepower at 6,400 rpm and 181 pound-feet of torque at 3,900 revs. 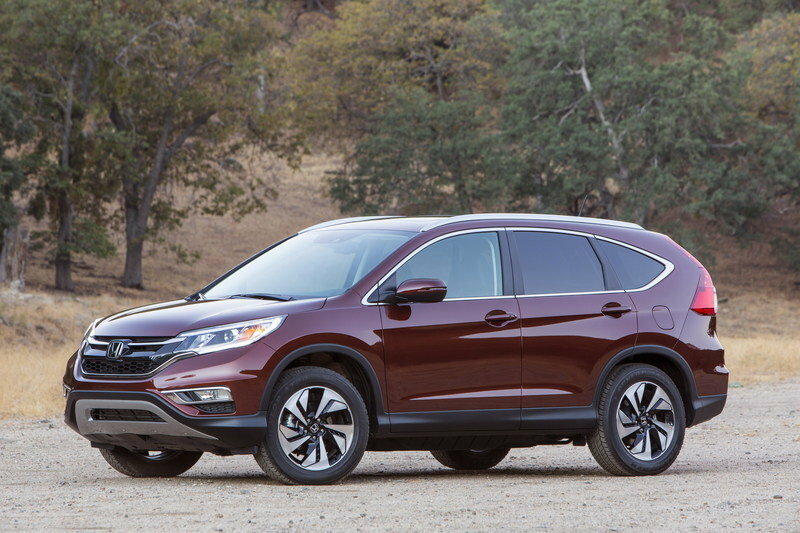 As for fuel economy, the 2015 CR-V gets 27 mpg city, 34 mpg highway, and 29 mpg combined with front-wheel drive. Moving into all-wheel drive pushes those numbers down to 26 mpg city, 33 mpg highway and 28 mpg combined. In terms of pricing, the CR-V starts out at $23,445 for the base LX and ranges all the way up to $31,645 for the range-topping Touring trim level. Unlike the CX-5, the CR-V is available with all-wheel drive across its entire lineup, but it increases the price range to $24,695 for the LX to $32,895 for the Touring. Completely redesigned for the 2013 model year, the Ford Escaped is more aerodynamic than its predecessor and makes use of the company’s active grille shutter system. A popular choice among U.S. customers and a strong competitor for both the CR-V and the CX-5, the Escape offers up to 68.1 cubic feet of space with the second row seats folded and comes with Active Park Assist, sensor-based Blind Spot Information, and Torque Vectoring Control. The current lineup includes three engines. The entry-level model is powered by a 2.5-liter Duratec with 168 horsepower and 170 pound-feet of torque on tap, while the mid-range Escape is powered by a 1.6-liter EcoBoost that generates 178 ponies and 184 pound-feet. 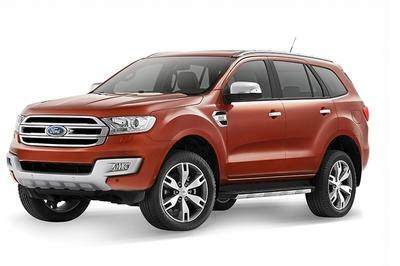 Lastly, the range-topping crossover benefits from the 240 horses and 270 pound-feet of twist provided by Ford’s 2.0-liter EcoBoost engine. 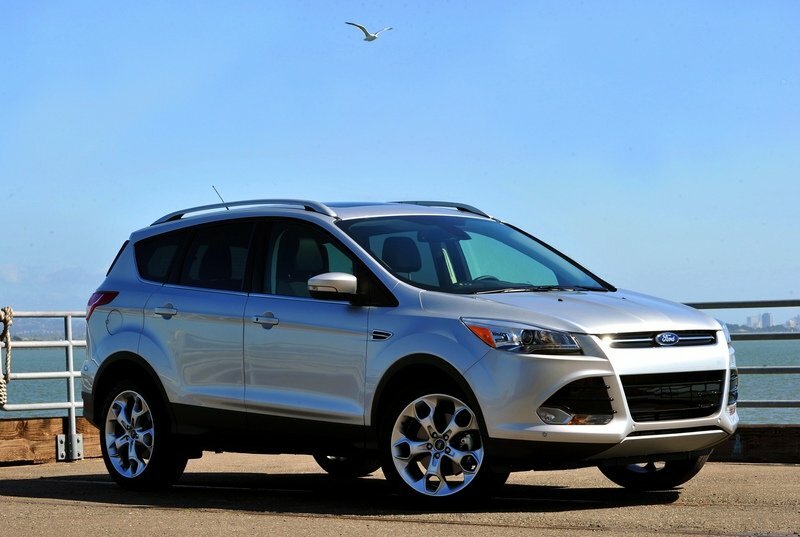 The 2015 Ford Escape retails from $22,960 and tops out at $29,245. When I had my weeklong test of the 2015 CX-5, I found it a joy to drive around town and more than capable of handling long-distance journeys. 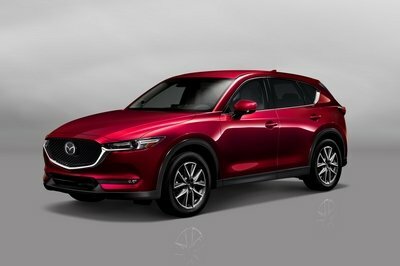 I do wish the refresh was a little more significant for the 2016 model year, but the CX-5 already looked great in my opinion, so I can understand Mazda not wanting to do too much. Unfortunately, not everyone loved the CX-5 as much as I did in 2014, as it ended up in the middle of the pack in sales. Maybe this more mature look will help give it a boost.